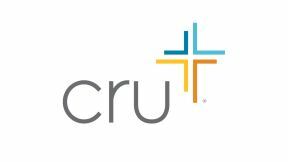 The founder of Cru, Bill Bright, had a compelling vision: reach leaders with the message of Christ and the world will follow. With approximately 160,000 undergraduate students on 30 campuses within 15 miles of Center City, Philadelphia offers a rich environment in which to put that vision to the test. Students come to Philadelphia from across the United States as well as from around the world to study and develop their minds and skills. Then, upon completion of that schooling, graduates take their newfound knowledge back to the very edges of the globe. What would it be like if each of those students took with them the knowledge of the saving acts of Jesus Christ? Even more, what would it be like if each of those students took with them a desire to live out Christs call to make disciples of all nations? This is why Cru exists! We desire to be a means by which Gods plan of redemption reaches the ears of the whole world by mobilizing Christ-centered laborers to EVERY campus, from EVERY career in EVERY corner of the world. Truly, we desire to make known the Good News of salvation that in Jesus Christ, liberty abounds! Your gift to this account would go toward evangelism and discipleship on the Philadelphia campuses.